Thanks so much to WordPress.com for including this post on its “Freshly Pressed” page this week! 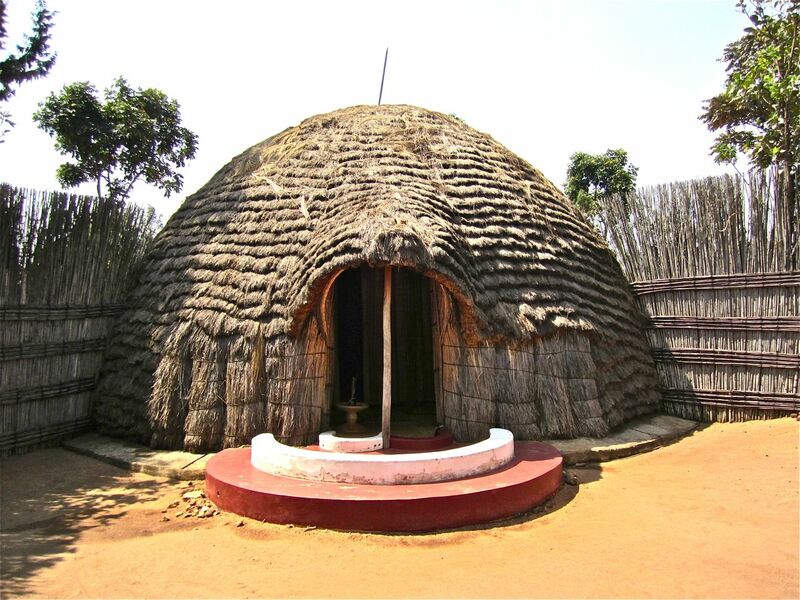 Yesterday, we visited the Rukali Palace Museum in the town of Nyanza, a couple of hours south of Kigali. The opening of the enclosure around the house of the keeper of the king’s milk. 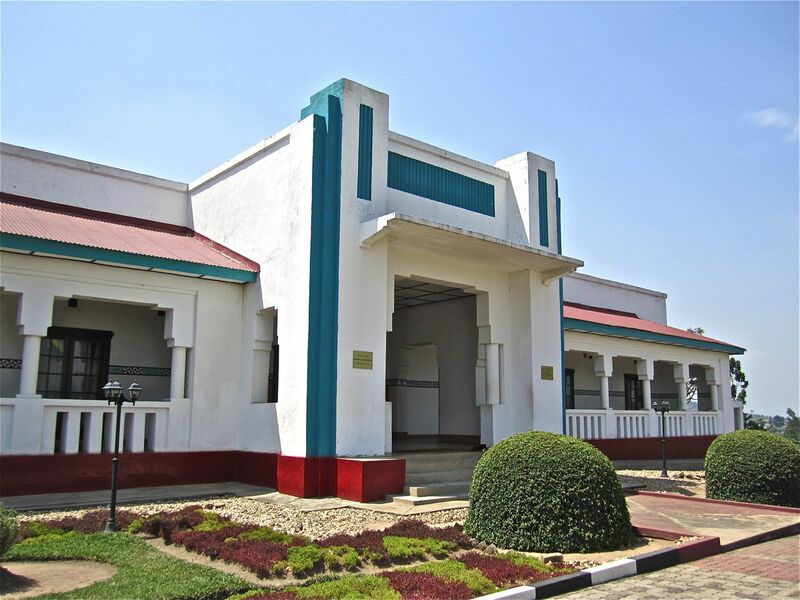 The museum grounds hold a reconstruction of the palace of Mwami (King) Musinga Yuhi V (a few miles from its original location), as well as the actual Western-style palace built for his successor, Mwami Rudahigwa Mutara III, in 1932. The reconstructed palace is currently undergoing a 5-year refurbishment. 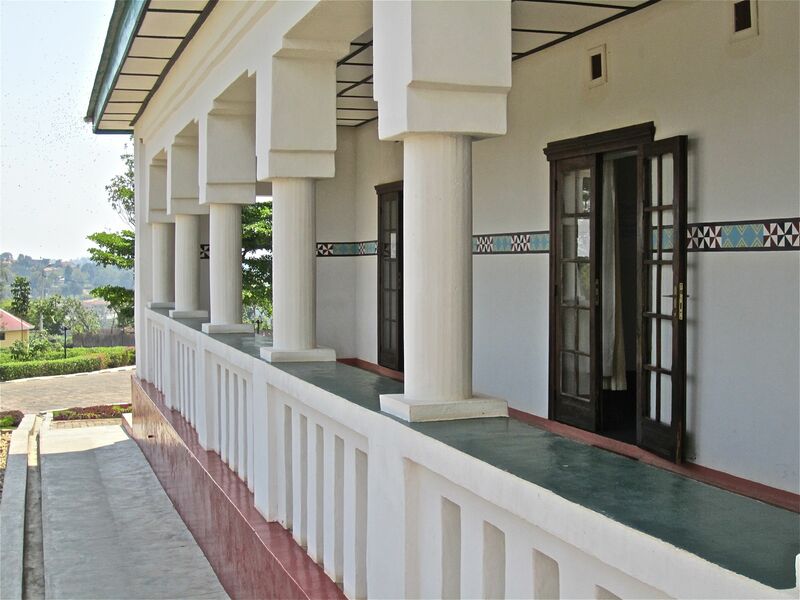 Musinga lived in a palace like this from 1899 until his death in 1931. 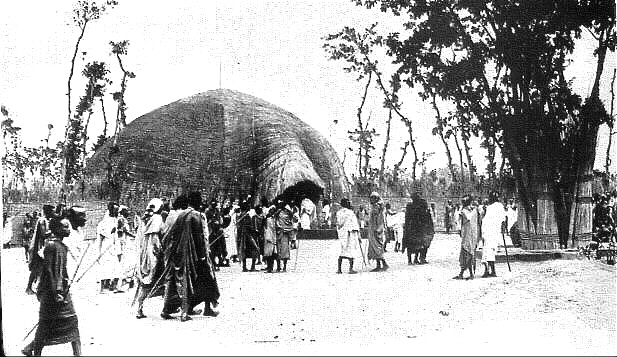 An old photograph of the actual court of Mwami Musinga. 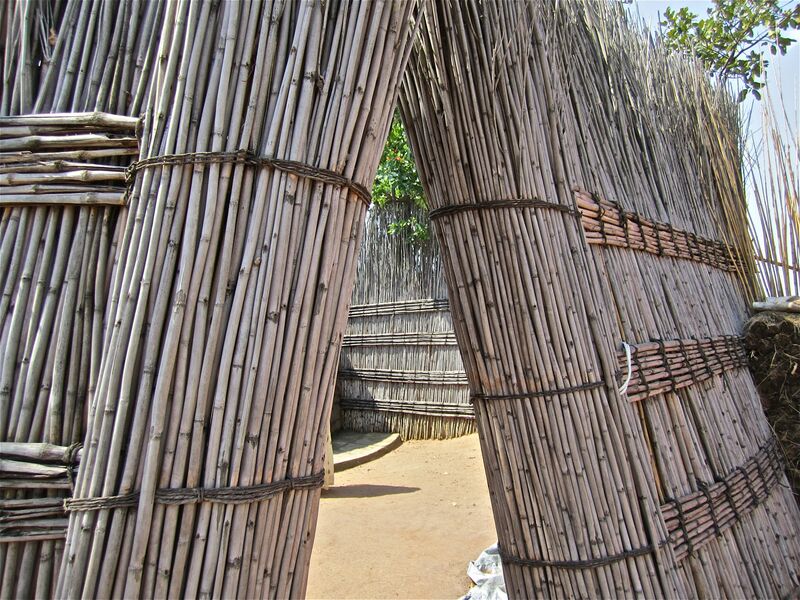 Traditional building and weaving techniques were used to make the structures of grass, reed, and bamboo. The work is very fine. House of the keeper of the king’s milk. The entrance to the house of the keeper of the king’s beer. 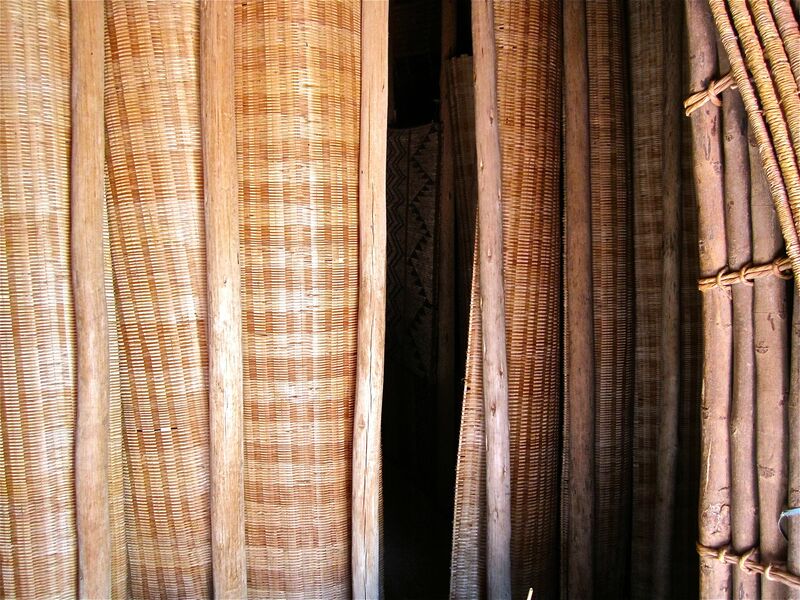 The inside partition is woven in such a way that an inhabitant could see out, but someone outside could not see in. A cow pen is part of the reconstruction. 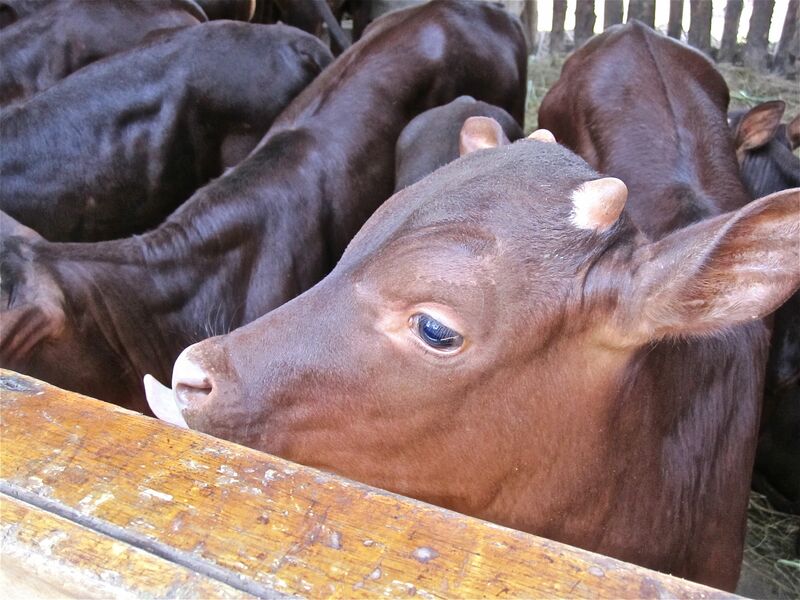 Cows were very important in Rwandan royal culture, and each of the king’s cows had a personal poem that was chanted or sung to call it out. They might also be decorated like this one. 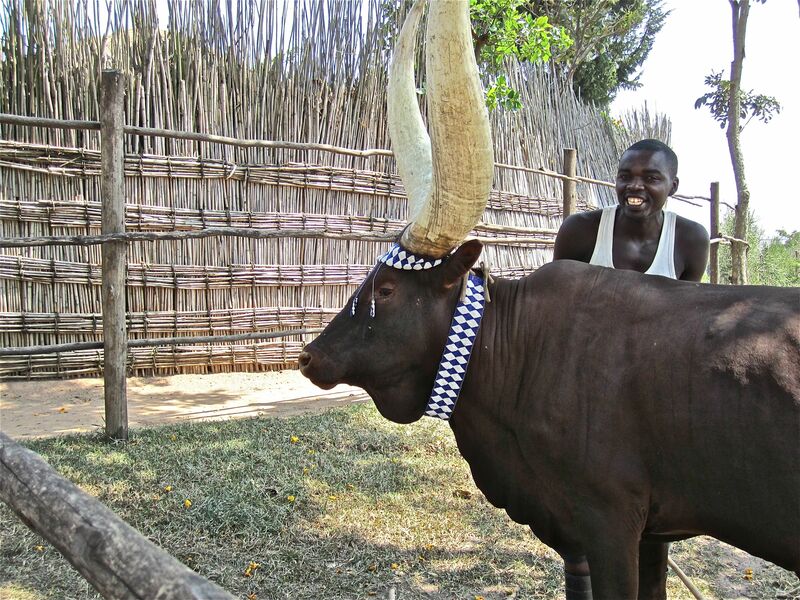 A Rwandan cow wearing decoration at the reconstructed palace. Her keeper is chanting her own poem. The pretty little calves are sleek as seals. The modern palace (used from 1932 to 1959) is decorated inside and out in geometric motifs. Unfortunately, visitors are not allowed to take pictures inside. 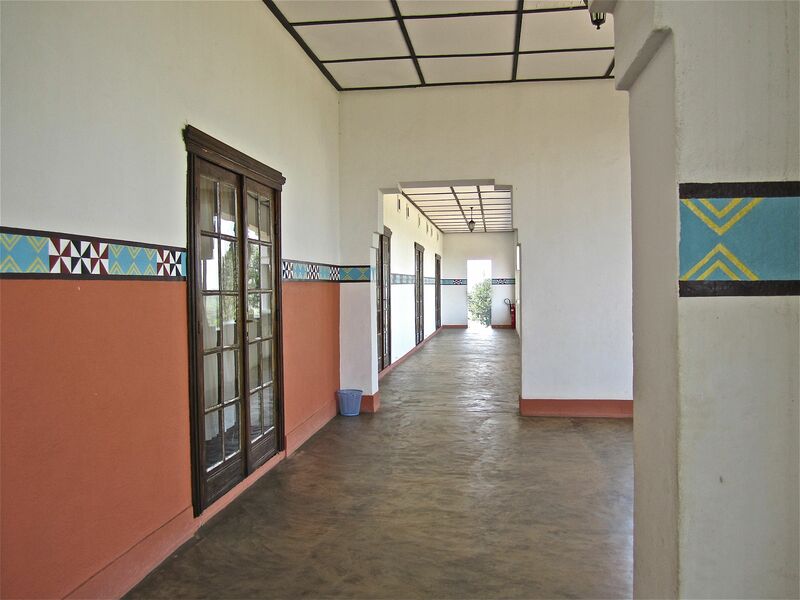 The actual palace of Mwami Rudahigwa Mutara III, who lived here from 1932 until his death in 1959. Inside, the home contains some original furniture, as well as historical photographs and maps. Queen Rosalie and the king in the 1950s. 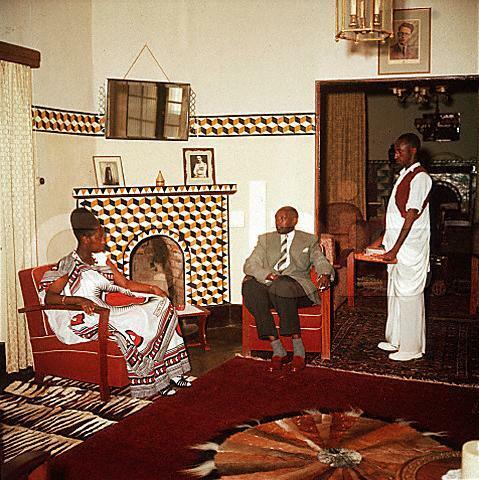 The widowed queen was murdered in the 1994 genocide. The courtyard garden is planted in hedges laid out in patterns like those traditionally used in baskets, mats, and room partitions. The courtyard garden behind the more modern palace. Room partitions of the reconstructed palace with traditional geometric patterns. 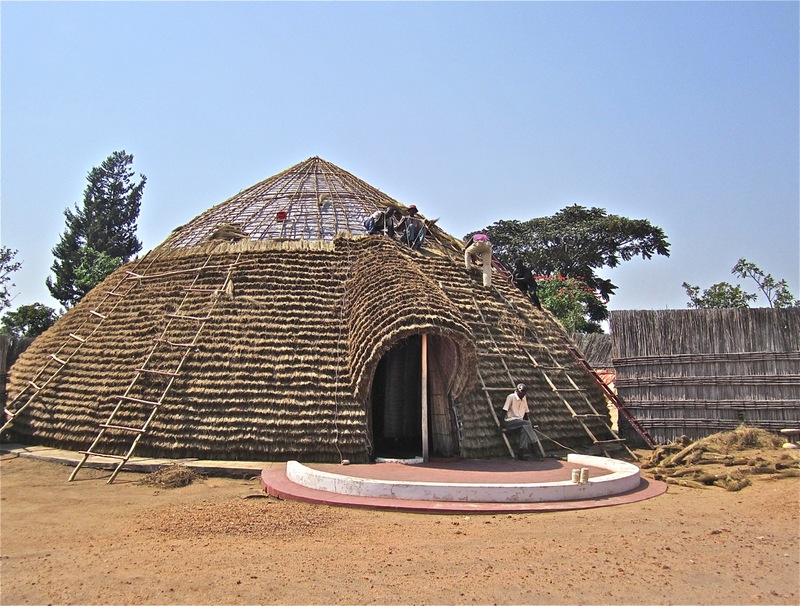 More about traditional Rwandan homes here. 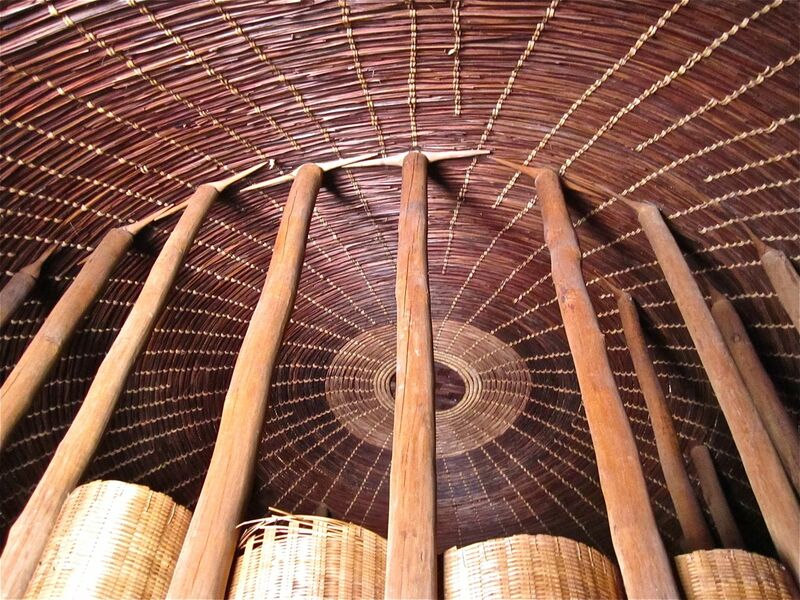 Fantastic hand made structures in these pictures and not a sheet of plasterboard in sight…. The fireplace tiled in the Tumbling Blocks pattern used in quilting, and I’ve knitted it. There was some very nice painted ornamentation in the house, but unfortunately they don’t let you take photos inside. Oh wow! I absolutely love this! Thank you for sharing! 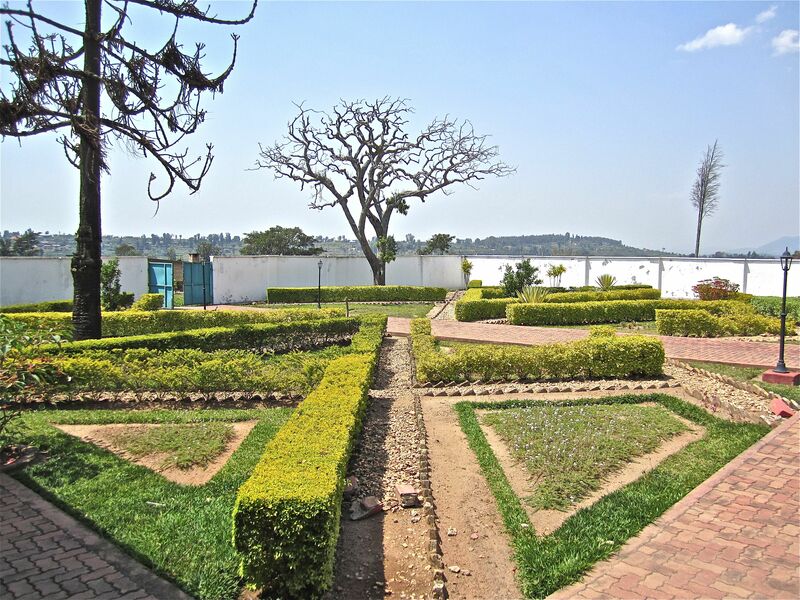 Thanks for not only showing the traditional/precolonial palace and gardens, but also the modern palace and garden in Rwanda. It’s good to make modern African capitals more visible, since many people have such out-dated ideas about the continent, as you know. But this also made me happy as a Foreign Service brat whose father spent many years on the Central Africa bureau in the 1990s. Thank you so much for sharing such an impressive and historical perspective of Rwanda! Well deserved FP!!!! Brilliant, vibrant patterns and structures. Thank you for posting these pictures. I lived in Africa for 25 years, from early childhood, and can never think of my time there as anything but rich in experience, colour, life, energy and lots of creativity. More of this and these types of pictures of Africa, please! Thanks for sharing this intricate beauty. You are having a great adventure, and thank you for making us feel like we are along for the fun 🙂 I love the finesse with which the ‘huts’ are woven, and it is fascinating to see the old palace. I love when travellers post photos of their adventures. Thank you for sharing. Very interesting and beautiful. I wonder how the cows feel about being decorated? Either way I’m sure their life is happier than most in the U.S.A.
I’ve read a couple books about the Rwandan and Burundi genocides. It was very cool to see your well-done pictures of one of these places. Thanks. Congrats on being Freshly Pressed. Excellent (green) craftsmanship, preserve the skill by passing it onto your young ones. These photos? They are absolutely gorgeous. I like the garden! The hedges was such a cool idea. And the weaving is amazing! Thanks for showing us something new, something educational, and something wonderful. Everything about this was very cool. The craftmanship and talent that went into the building of the original palace is truely amazing. Thanks too for the history, the story itself. I’m going to get the book, “Defeat is the Only Bad News” Peace be with you. Keep Writing, Keep Blogging. Intriguing post and photos!! . . . Congrats on being “Freshly Pressed”!! Would be lovely to stay in such a place for a holiday eh! Entertaining and educational at the same time. Wonderful journey, and great photos. It’s got it all. How much did the trip cost to get the pictures? And yes, include the price of the camera. I live here, so it was just a morning trip. One of the adventures I love about blogging is reading other blogs. I doubt that I will ever go to Rwanda. So, I doubt I will personally visit the Kings’ quarters. But, I got to experience this through a fellow blogger’s eyes …. And that experience was worth my time (& is worth your time). Great post, very informative and good use of archival material. Thanks! I’m really hooked these days at looking at old photographs. Amazing detail… Beautiful!! Thank you. I love the palace architecture. Thanks! Very interesting! I just spent half an hour looking at a friend’s slides show of her visit to Ghana on behalf of Habitats for Humanity, and it was fascinating. 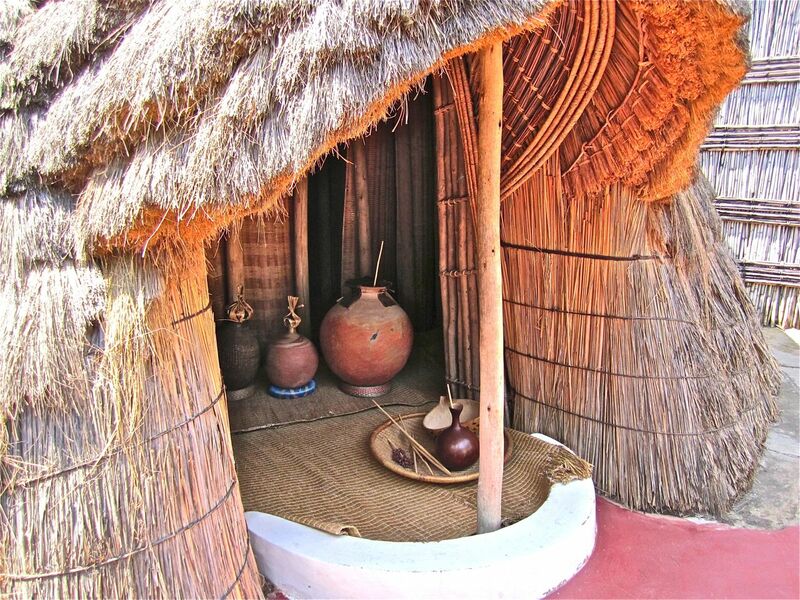 Granted, it is a different country in Africa, but interesting to get to look at an African king’s dwelling. Great post! The beauty of this construction is inspiring. Thank you. The old buildings are magnificent. The modern palace looks rather like an Deco office block. I found this very interesting, indeed. Cultural differences make for cool posts sometimes, right? Everything looks beautiful. 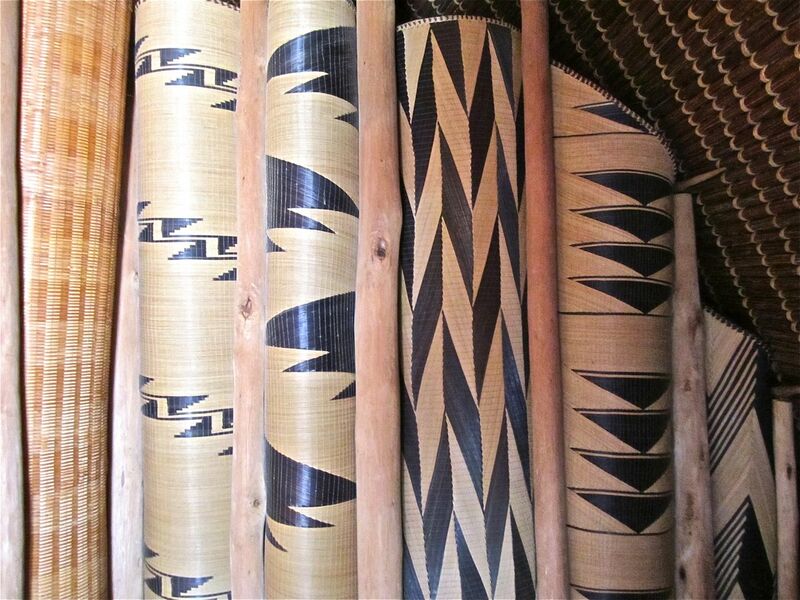 But these traditional geometric patterns are amazing, caught my eye right away. Great photos. Love the texture – really well done. Amazing how much work went in to each home, great pictures! Your photography is simply breathtaking. There’s so much emotional appeal! Everything is perfect: the angles, the lighting, the different viewpoints… It’d be my dream to be as good as you!! Wow! Great pictures! Thanks for sharing. Will have to put this place on my “must visit” list which is growing alarmingly fast, not sure how I am going to find the money and time to visit them all !